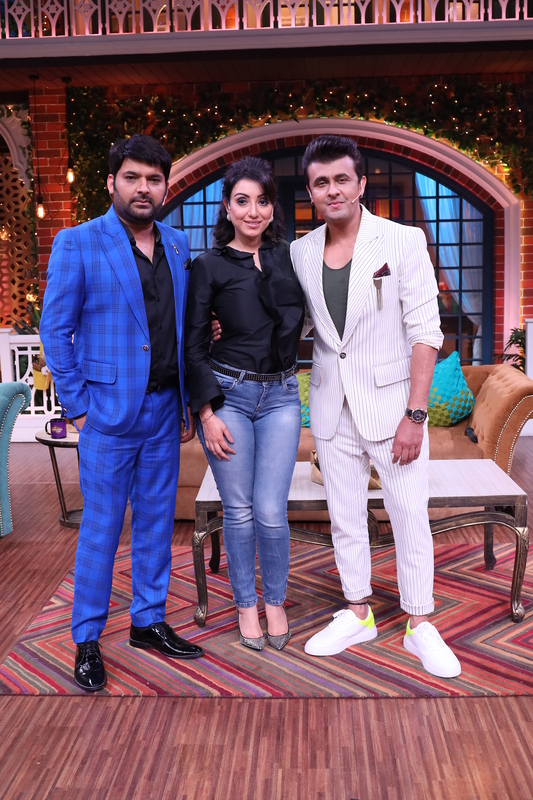 The Kapil Sharma Show, famous for inviting the celebrity guests on the stage, saw the presence of Sonu Nigam along with his wife Madhurima on Saturday. During the episode, Kapil and Sonu shared an interesting story about how Sonu managed to get on the sets of the show for an interview. Turns out that Kapil met Sonu in the flight and discussed the idea of having the talented singer and his wife on the show. Sonu in all zest agreed for the same and the singer kept his promise and shot with Kapil recently. Other than all the fun and merriment that happened during the shoot, Sonu obliged the host and audience by fulfilling requests of songs and mesmerized one and all with his melodious voice. The ace comedian kept appreciating Sonu’s performance and whilst applauding him, he added, "I met Sonu Paaji on a flight where I proposed the idea of inviting him on the sets. He not only kept his promise and graced the stage with his appearance, but his voice and his songs were like a cherry on the cake." Both Kapil and Sonu appreciated each other’s work but yet did not leave a chance to pull each other’s leg. After all, this is how brothers treat each other.